There is a wide range of Windows based devices and purpose built digital signage media players to choose from. You could choose a device with Intel® i7 processor, a powerful UHD graphics module, large amounts of memory and Terabyte’s of storage or smaller items like the Intel® Compute Stick to run your content on. embed signage is an Intel NUC and Compute Stick Digital Signage Partner. With computers becoming smaller, faster, powerful and more cost effective, compute sticks can act as a great entry-level solution for digital signage; especially when converting existing screens. Intel Compute Sticks offer a cost effective solution in turning any display into a fully fledged digital sign with just a few tweaks to the settings. The compute stick offers a choice of Intel® Atom™ or Core™ M processors with up to 4 GB memory and 64 GB of on-board storage. All in one touch screens provide the convenience of having no external media player. Similar to Android, Windows based devices can be found in a huge range of performance variations. Devices such as the ELO touch screens offer a high end touch solution as a windows player built into the screen. Offering true high definition screens at 1920 x 1080, 16.7 million colours and a 16:9 aspect ratio ELO displays can be sure capture consumer interest. A range of Intel® NUC devices are available for Digital Signage use. 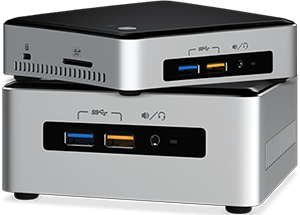 Depending on the power requirements of the signage project, NUC’s support up to Intel® Core™ i5 vPro™ processor, dual 4k display support, flash storage, and LAN, WiFi and Bluetooth connectivity. Intel® NUC’s act as great, affordable building blocks for your signage project, due to their barebones, “build-it-yourself” approach. 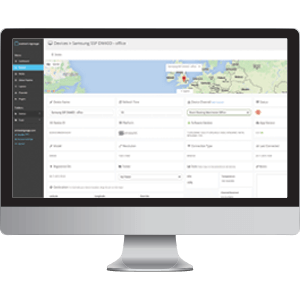 Purposely engineered within embed signage are a range of network management tools. Using the device controller plugin, receive live snapshots of the display, turn the screen on & off, volumes up & down, reboot and change input sources remotely. From the embed signage devices dashboard you can view Windows hardware statistics such as software version, model, resolution and when its received it’s channel of content. Using Windows for Digital Signage? 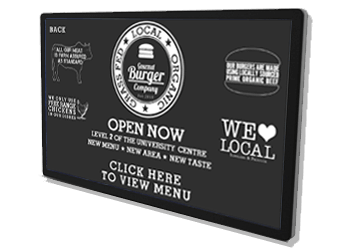 If you are already using your own Windows device to view your digital signage layouts, please download the appropriate embed signage software.